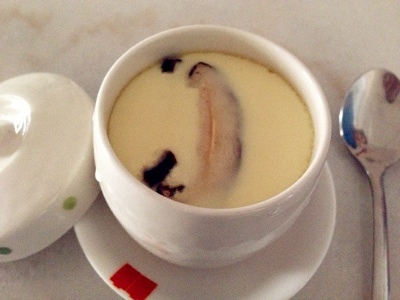 Chawamushi or Japanese steamed egg in cup is one of my Husband favourite Japanese Food. My youngest daughter had also recently fell in love with this snack. She is a fussy eater and there is hardly any food that could catch her attention. 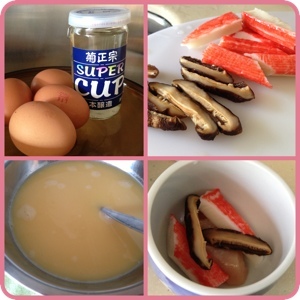 Today, I found great motivation to make this as afternoon tea break for my little family. I was slightly rusty as I had not cook anything for quite a long time... Fortunately it did not take me long to warm up. There are many versions on the Internet on making chawamushi, I adapted my own recipe with some modifications to keep it as simple as possible..
1. Bring water in a steamer to boil, reduce heat to a simmer.